International teams are rapidly becoming the central operating mode for global enterprises. They are often agile and perceptive, know local markets better than HQ does, lead innovation and exploratory ventures, and are more culturally aware than their parent company. But how much autonomy should they be allowed? How can we get things done with colleagues who have different worldviews? How can we strike a balance between core values and the necessary diversity - and is diversity within the team a strength or a hindrance? What is the role of the team leader in all of this? How do you establish team trust? How important is team humor? Who decides the team's ethics? What misunderstandings can arise in a virtual team, lacking face-to-face contact? In answering these and other questions, Richard D. Lewis draws on 30 years experience mediating with hundreds of international teams in two dozen countries. 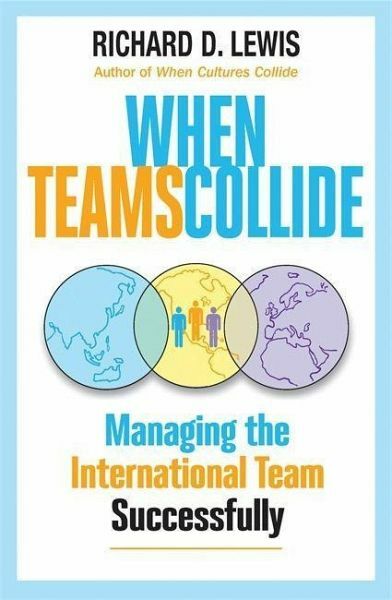 Generously illustrated with explanatory diagrams, When Teams Collide analyses profiles of 24 different nationalities and suggests how they should be led for best results. Commenting on vital considerations of leadership, team trust, ethics and humor, the author also evaluates the relationship between teams and HQ. 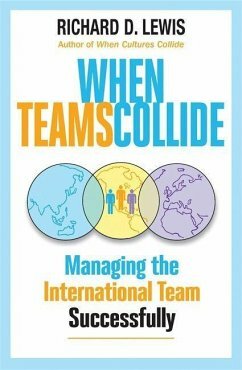 Applying the cultural concepts in the bestselling When Cultures Collide specifically to team leadership, this is a wide-ranging and compelling account of how to handle what is a difficult and sensitive task.